Did you know that a whopping 18,000 tonnes of pumpkin go to waste every Halloween in the UK? That’s the same weight as 1,500 double-decker buses. Pretty frightening, right! 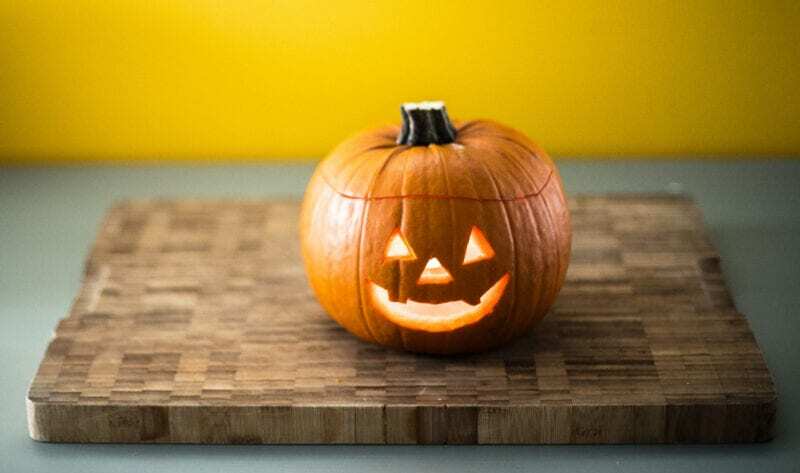 This year, we want to show that a pumpkin isn’t just for Halloween – not only are they delicious in a wide range of recipes, but they can also be used for other non-foodie things, from face masks to plant pots. “Pumpkins are packed with health benefits. 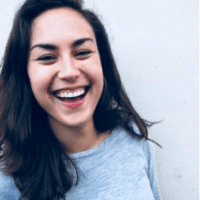 Rich in vitamin C, potassium and fibre, this versatile vegetable is really good for eye, skin and cardiovascular health, and that’s just the flesh! Pretty great, right! 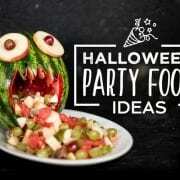 So, there really is no excuse not to make more than a spooky face out of your pumpkin this year. Show us what you use your pumpkin for by posting a picture online with the hashtag #GoustoPumpkinPower – you’ll be cutting down on food waste, and (hopefully) having a little messy fun in the process. Preheat the oven to 130°C. Halve the roasted pumpkin and scrape the flesh off the skin, leaving two large, thin sheets of pumpkin skin. Chop these into large crisp sized pieces, then add them to a bowl with a glug of vegetable oil, the paprika, garlic powder and sea salt and give everything a good mix. Spread the seasoned pumpkin skin pieces in a single layer on a large baking tray and leave in the oven overnight to dehydrate and roast. Serve when crispy, with hummus or a similar dip. Use this homemade crisp recipe to make crisps out of other vegetables, too! The mushy bit where the seeds live makes the most delicious pumpkin stock. Give it a go. Remove the seeds from the fibrous strands and save them for later (see how to cook them below). Heat a few glugs of olive oil in a saucepan, then throw in the fibrous strands along with any unwanted peel from other vegetables and a big pinch of salt. Cook for a few minutes to help the ingredients break down, then fill the saucepan full with water and bring to the boil over a high heat. Once boiling, reduce the heat to a medium-low and simmer for 1-2 hours, or until the liquid has reduced to a golden broth. Once reduced, strain to remove the fibrous strands and vegetable peel, then pour the stock into an ice cube tray and place in the freezer. Use a couple of the frozen cubes in place of shop-bought vegetable stock when you’re next cooking! The pumpkin strands are full of nutrients, so if you don’t fancy eating them, toss them on your compost and they’ll add plenty of lovely stuff to it. Many people chuck out the seeds but plant a few and you could have your own homegrown pumpkin for next Halloween! 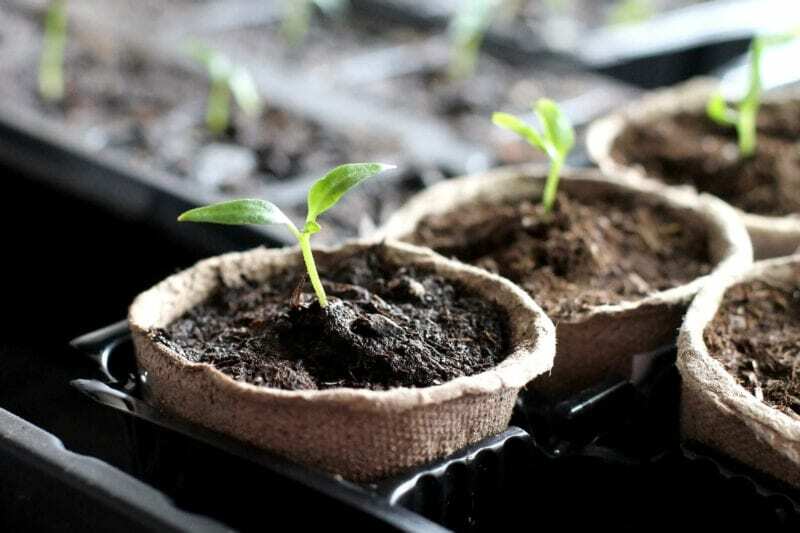 How: Sow the seeds indoors in April/May, plant them outside when they look strong enough around May/June time, they should be ready for harvest in September/October – perfect for Halloween. 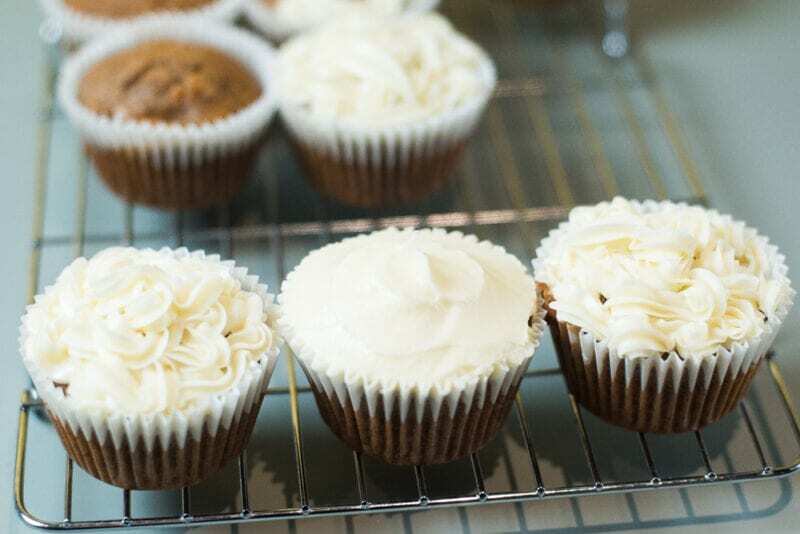 Pumpkin makes a delicious flavouring for pies and soups – but also cupcakes. 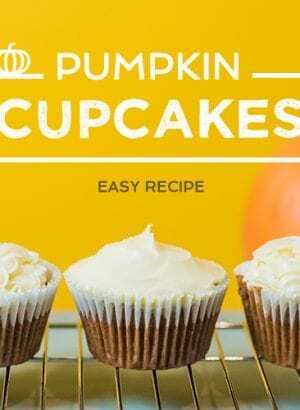 Yep, that’s right, the tasty sweet treats work beautifully with pumpkin too. 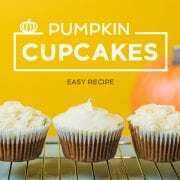 Give our pumpkin cupcakes recipe a try. 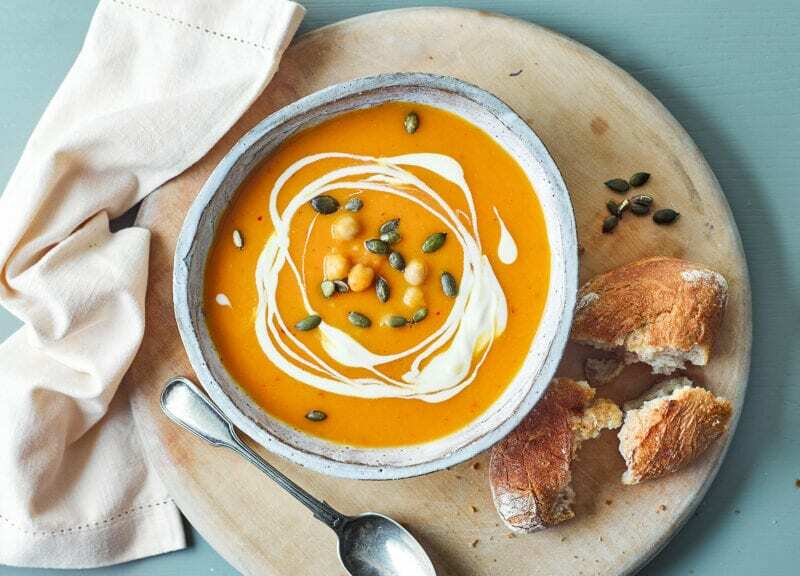 The subtly sweet and rich flavours of pumpkin make a delicious warming soup. ½ tsp chopped thyme, salt and pepper. Melt the butter in a large saucepan, then add the garlic, onion, carrots, thyme and a pinch of salt and cook for 5-8 minutes or until softened. When cooked, transfer to a food processor and blitz together with the pumpkin puree until smooth, then return to the saucepan, add in the stock. Bring to the boil, then lower the heat and simmer for 15 minutes, stirring occasionally. Reduce the heat to very low and add the cream and simmer for a further 5 minutes. Season to taste and serve. It tastes as good as it sounds – trust us! For pumpkin filling: Add the roast pumpkin, grated parmesan and a big pinch of salt and pepper to a food processor and blitz until smooth. Add the eggs, pasta flour and olive oil to a food processor and blitz until a crumbly mixture forms. Knead the mixture for 10 minutes or until it becomes smooth and elastic, then wrap in clingfilm and leave to rest for 20 minutes. When ready, cut the dough into 4 pieces and roll out into thin pasta sheets (approx. 2mm). On one sheet, spoon out a couple of teaspoons of filling every few inches, then brush around each mound of filling with water, place the second sheet on top and cut around each mound with a sharp knife. Crimp the edges of each to seal them. 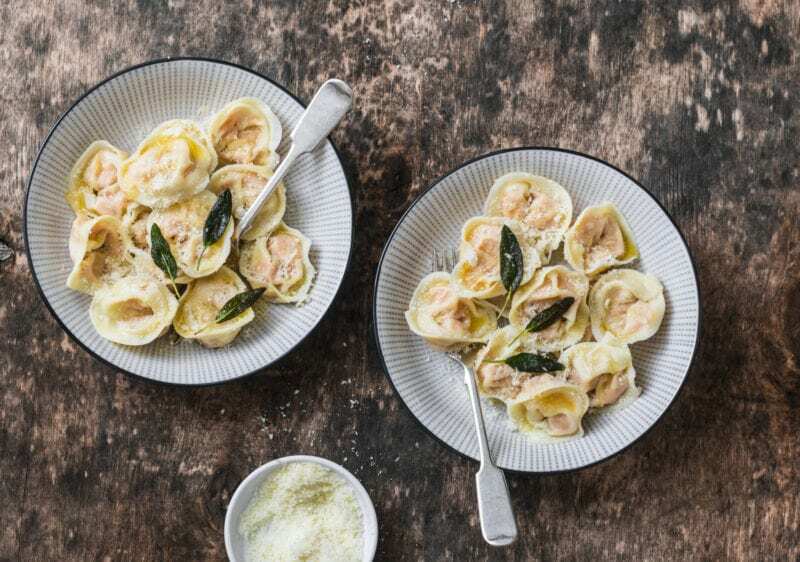 Repeat until all the filling or pasta sheets have been used up, then add the ravioli to a pot of boiling water for 3 minutes or until they float to the top of the water. For the sage butter: Heat the butter in a frying pan until melted and foaming, then add the sage leaves and cook until the leaves crisp up and the butter browns. Season to taste, and drizzle over the cooked ravioli. Peel and slice the onions, garlic and ginger. Peel and chop the pumpkin into small bite-size pieces. De-seed and finely chop the red chillies. Heat a large, wide-based pan (preferably non-stick) with a drizzle of oil and cook the onion, ginger and chilli for 10-12 min or until softened. Add the mustard seeds, garlic, and turmeric and cook for 1 min. Add the pumpkin, sugar, cider vinegar & a splash of water and cook for 8 min or until the pumpkin has softened and the pickle has thickened. Season with a pinch of salt, sprinkle in the nigella seeds and transfer the mixture to sterilised jars. We’ve talked about the health benefits of eating pumpkin but you might be surprised to know that pumpkin is also amazing for your skin. 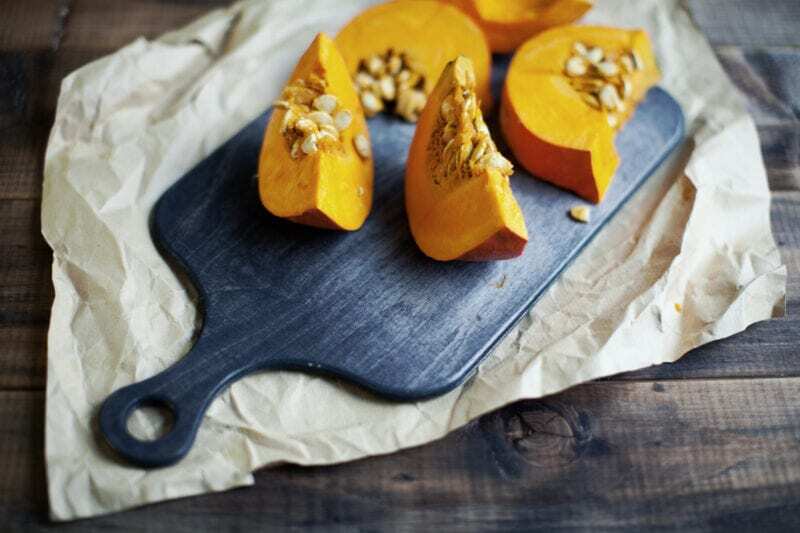 The antioxidants and vitamins contained in pumpkin flesh help fight sun damage and have been said to help reduce wrinkles, the zinc and potassium help to combat redness, and the fruit enzymes are a fantastic natural exfoliant! Who knew? Combine the ingredients thoroughly in a bowl. Leave on for 10-20 minutes before washing off with a warm flannel. If possible use an orange or dark coloured flannel as the pumpkin and turmeric might be hard to get out of a lighter coloured flannel. Not ready to use your pumpkin pulp just yet? Packaged in freezer bags, pumpkin will last up to a year in the freezer. 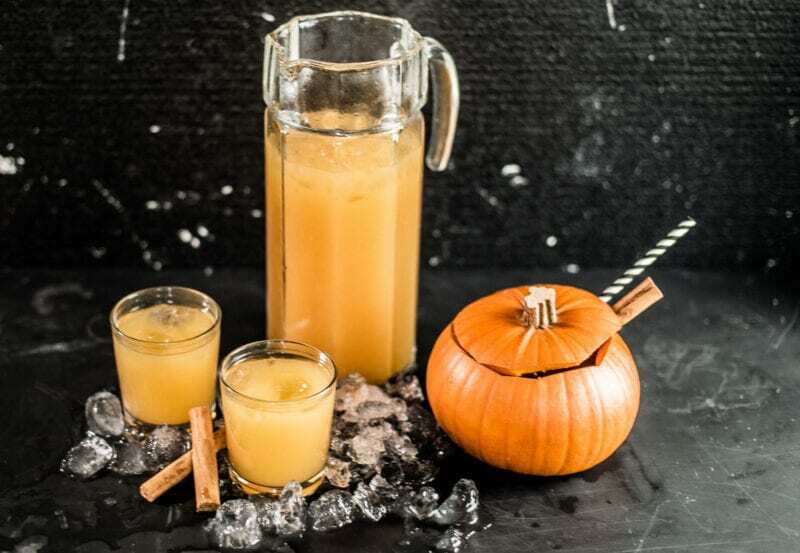 Serve up delicious pumpkin punch in a pumpkin… things couldn’t get more Halloweeny if we tried. The recipe. 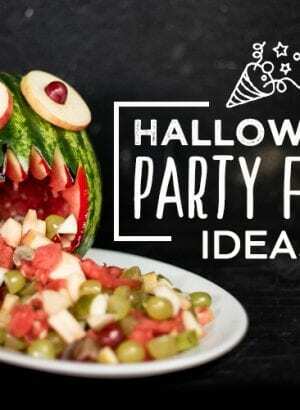 Perfect for a halloween party, plus the pumpkin shell saves on the washing up… win, win. 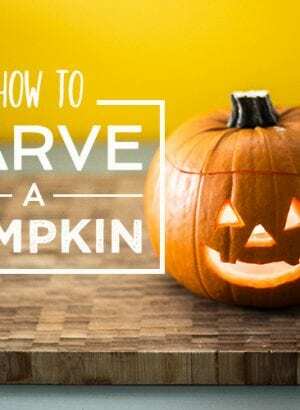 Cut the top off the pumpkin and scrape out the fibrous strands and seeds, then replace the lid and bake in the oven at 180°C/160°C fan for 1 hr to 1hr 30 minutes, or until the pumpkin flesh is cooked. Meanwhile, mix the cornflour with the grated cheese until it has fully coated the gratings. 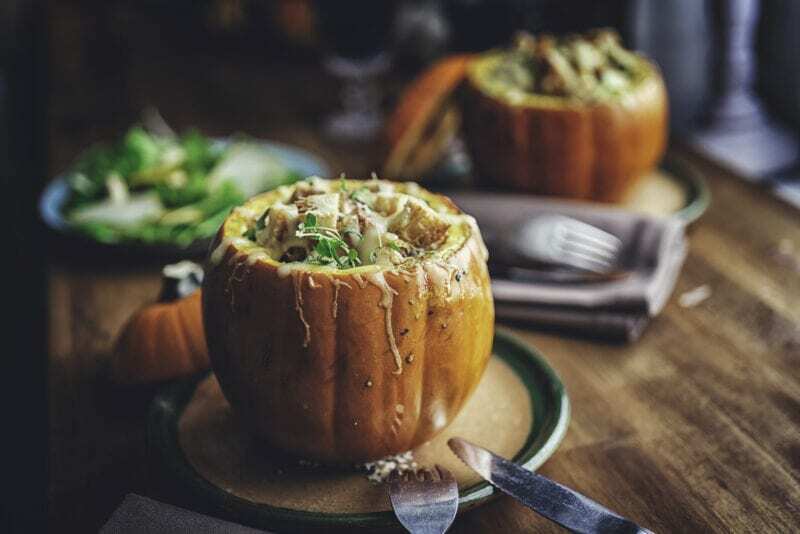 When the pumpkin has mostly cooked, remove from the oven, take off the lid and place the grated cheese, white wine and garlic clove inside, giving it a mix to combine. Increase the oven temperature a little higher and bake for a further 30 minutes or until the cheese is bubbling away. When cooked, remove from the oven and serve with bread or crudites for dipping. Want to make your pumpkin pretty, rather than scary? Add some blooms! 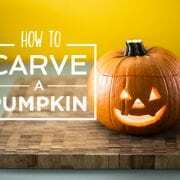 Turn your carved Halloween pumpkin (or hollowed out pumpkin shell) upside-down and carve a drainage hole in the middle of the base. Next, dig a hole in your flowerbed and place the pumpkin shell inside, upright. Place your plant inside the pumpkin and fill around the roots with earth. Alternatively, place a pot with a plant already inside straight into the pumpkin, then place this inside the flowerbed hole. Or, if you’ve never made a Halloween pumpkin carving before, here are the basics. How long will your jack-o-lantern masterpiece last? We hear you cry. Normally 5 days to 2 weeks, so you’ll have plenty of time to make the most of it. But you can make your pumpkin last longer by cleaning the empty pumpkin with bleach (careful when using bleach it’s highly toxic, and definitely don’t try munching on the pumpkin after), leaving it to fully dry then smothering it with vaseline to give it plenty of moisture. We’d love to see what you create, post up the photo using #GoustoPumpkinPower.